The New MoonLetter is here! Yes, I’ve been away for a couple of months while husband, Richard, and I revamp our outreach. We published a MoonLetter on February 20 to celebrate the Lunar New Year and mark a new beginning. With that email we are now publishing an update on each New and Full Moon – so about two times each month. And for those of you who prefer to receive information from me in blog form I’ll be clipping pieces here from each issue. 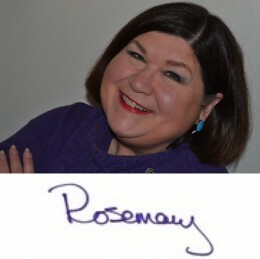 Welcome back to RosemarySpace where we have been retreating for awhile to tune in to new ways to serve you. This MoonLetter information will be published at the time of the New Moon and the Full Moon each ‘moonth’ to remind you to tune into the energies and to use them to support you in achieving your goals. This ‘moonth’s’ issue is focused on the Moon’s cycles and what that means. It is the start of the Chinese Lunar New Year celebrations. Celebrate something new in your life! (Like the new MoonLetter!) We welcome your comments always. This New Moon happened on Wednesday, February 18 at 6:47 pm Eastern Standard Timein the very last degree of the sign of Aquarius in the very last minute – 29 degrees 59 minutes. This is a powerful time for manifesting something new in your life, and this Lunar New Year gives you a fresh start for the next 13 Moon Cycles. If you want to receive the MoonLetter each time it is published you can do that at TheScientificMystic.com When you subscribe you will also receive a meditation on the phases of the Moon channeled by me.